This was a book of the same name about a former soldier, now 96 years old, who survived World War II against enormous odds and still continues today to live a life of strength and resilience. Recently in Runners World I read a story about a runner who missed his chance to compete in the Olympics for a second time due to war service. It talked about his endurance through it all, even after being captured by the Japanese. 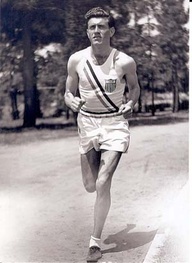 Once while a prisoner of war in camp he ran a race against another knowing he would be beaten for his victory but it would greatly lift the morale of other prisoners to see him win. What I didn't know until the end of the article is that both this story and the above book are about the same person, Louie Zamperini. It got me thinking about what it means to remain "unbroken." While Louie's story above is a tale of the extreme end of the spectrum, there are so many levels of strength one can pull from within to remain whole in times of crisis. 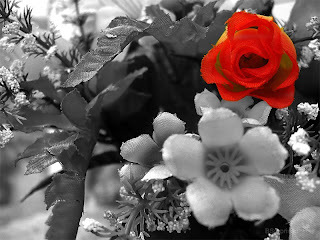 This can be as simple as a moment a person makes it through that gets them to the next one....intact. I had a reminder of this today from my father when I called him to say hello and he told me he had seen a bouquet of flowers while at the grocery store this morning and brought them home for my mother. 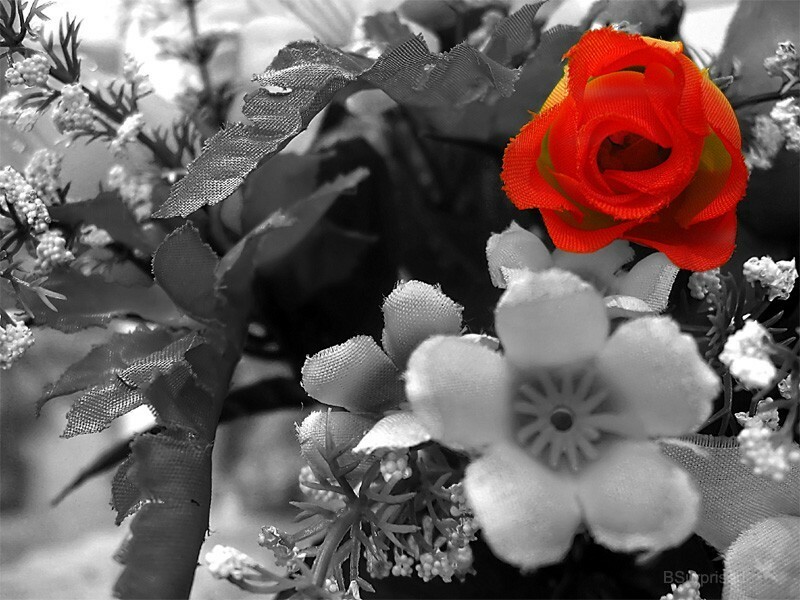 Even though she passed away last fall he can still buy her flowers sometimes, he said. He put them in the living room where he could see them from his chair.....it will have been their 50th Anniversary next month. He is enduring day by day, remaining resilient and unbroken. This book has been optioned and is in development for a filmy version by Ethan and Joel Coen. The other night I asked my husband to help me cover all of the mirrors in the house. Yesterday was my day without mirrors. It's an experiment myself and other bloggers are taking on this week in support of fellow blogger Kjerstin Gruys' new book, "Mirror, Mirror Off the Wall." I just finished reading Kjerstin's personal story and the true message is that mirrors are so common to most of us in our daily lives that we don't even realize how often we use them to tell us who we are and how to feel about ourselves. Much of what she talks about really strikes a chord with me, especially being a woman and working in entertainment and marketing. I noticed Kjerstin's blog about a year ago and she inspired me. I wrote a blog article about her called "The Look In Glass" and emailed it to her. This is how I came to be part of the no mirrors for a day blogger challenge! On Friday I went the whole day simply trying to avoid mirrors, just to prepare myself for the actual challenge. It worked only half the time, because I forgot the other half! What struck me the most about that day was how many times I caught myself looking in the mirror....it has become such a habit to do it every single time I step into a room with a mirror in my view....I don't know why. What intrigued me most about Kjerstin's project is that it started as an idea from a moment of self awareness that then turned into a personal growth challenge, which became her blog and then a book. This developed from a genuine realization that even though she is a sociologist and intellectually "knows better," she had been she realized, too preoccupied with her appearance to the point of distraction from productivity and quality of life. Because Kjerstin is a qualitative sociologist she is able to share both her personal experience going a year without mirrors, along with her insight as an expert. Also, being a survivor of an eating disorder, sharing her story is courageous. Her unique perspective added a dimension to the book for me. For me, my day without mirrors was more of a welcome break than anything else. Not being confronted with my image every time I went into my bedroom and bathroom was a reprieve from my assessment of my hair, face, body, and whatever else I usually noticed about myself, good or bad. It seemed easier picking out something to wear to run to get groceries, then later for ice cream and an afternoon hike. In fact, I am keeping a few of the extra mirrors covered for awhile. I remember accidentally catching my image in the door of another car in a parking lot, the ice cream cake cooler door at Dairy Queen, and my laptop monitor. It made me laugh....our reflections are everywhere, whether we want them to be or not! As Kjerstin noted in her book, when it comes to external beauty there is a point of diminishing returns. I have always been reassured by the fact that I have worked to nurture my mind and health along with my looks. 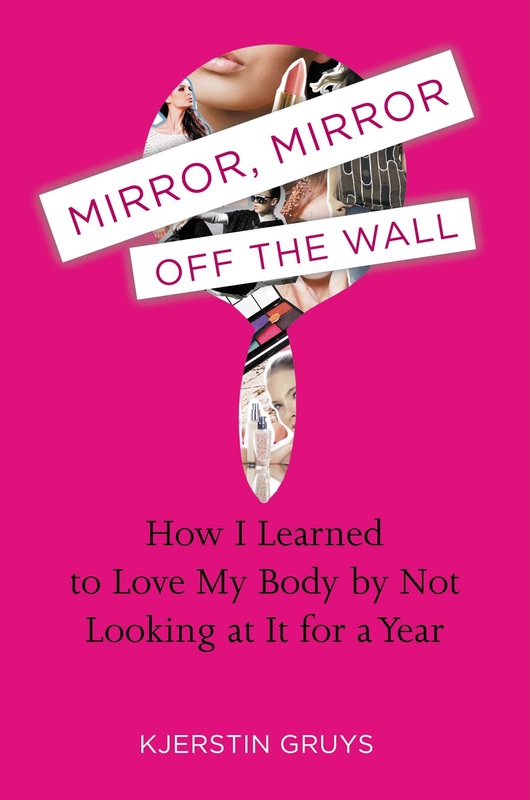 One of the more compelling points of "Mirror, Mirror Off The Wall," are the results of a study that prove self objectification steals brain power from other tasks.....obsessing about one's looks, clothes, hair, etc. actually drains your brain...good enough reason alone to consider lightening up on mirror time. That, and maybe it's good to spend less time on our outer reflection, and more on our inner self. About-Face.org....Don't fall for the media circus! A heckler...someone who harasses and tries to disconcert others with questions, challenges, or gibes. 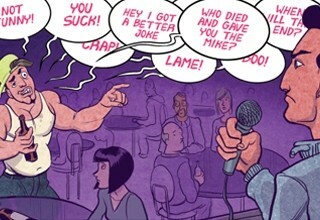 Some of the most frequently heckled performers of course are comedians. Experienced stand up comedians use a method called "squelching," turning a heckler's interruption into a joke, so as not to lose the flow of their act. While at a show at the Laugh Factory here in Vegas last month I saw what could be called the ultimate heckle. This guy was such a "pro" he didn't just heckle one of the guys, he started with the opening comedian Anton Knight, then threw a few one liners into comedian PK's act after that. He saved his best or should I say worst for the headliner, comedian Johnny Sanchez. It started out with a few barbs here and there shouted out between jokes. When Johnny tried to bring this heckler into the joke in a positive way, he gave weird and flat answers which dropped the rhythm of the show like lead balloons. In an attempt to ignore him, Johnny kept on going. Then, again, Mr. Heckler threw one out, and an ethnic heckle at that! Johnny without a beat went into an improv routine using what had been thrown at him. That was until he was a minute or so into it and realized what he was responding to. He stopped right there and said..."You know what? It has been a really long time since I have been in a real fight and if I wasn't on stage it would be happening right now, with this guy." Then he stopped, took a drink of water and said "damn"....started up again and then stopped, back to the water bottle, stood at the stool on stage, then the water again. He was clearly very uncomfortable. Sitting in the front row I felt bad for the guy. He is super funny and witty and I also wanted to see more of his stuff. So just to change the mood I asked, "So Johnny where are you from? "...he looked up and answered with a joke which turned into another and another. Nobody after that paid attention to the heckler, especially Johnny who never even faced that side of the room again. In fact I saw Anton Knight, the opening comedian go over and sit very close to the heckler, looking none too pleased. I think it was his way of supporting his friend on stage. I said to my husband on the way home, I guess what I did for Johnny was "positive heckling!" Of course it's not just comedians that get heckled. We've all been heckled by people who say the wrong thing....relatives, acquaintances, grumpy cashiers, co-workers, bill collectors, and employers. Some are actually well intended but it feels like a heckle, (like the rental car agent who once told me I looked like Tonya Harding). Are you a heckler? Do you fall into this behavior from time to time, with telemarketers, customer service reps, postal workers, fellow drivers on the road....I certainly have been guilty of this before and I am always embarrassed afterwards. Sometimes I am even guilty of heckling myself! That voice in my head saying, "Why did you wear this"..."Why didn't you do that?".... "Did you really say that?" 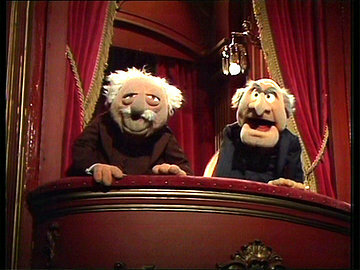 Maybe we could all do with a little less heckling and a little more laughter! 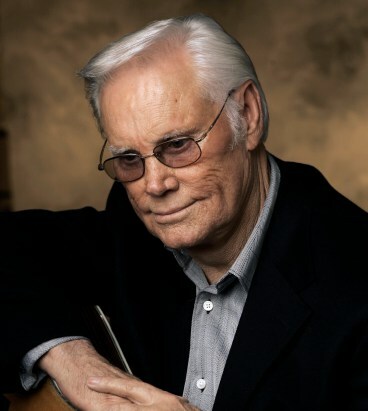 Country music legend George Jones passed through the swinging doors of heaven last week. on live audio on XM Satellite Radio "Willie's Roadhouse" Ch 56. George, known for his hard partying ways the first 50 years of his life, he actually lived his last three decades striving to maintain sobriety, and with more strength and character than many thought him capable of. His last marriage to wife Nancy, lasted 30 years. It's inspiring to be reminded that one can get lost and find themselves again later in life and it can "stick". I'll bet this meant much more to him than the Lifetime Achievement Grammy Award he received not long ago. 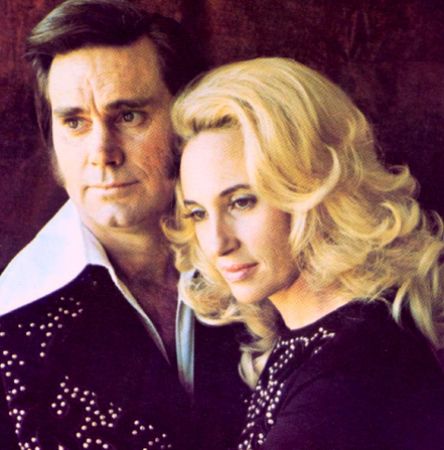 The voice of George Jones was one of my first introductions to country music, through his duets with his wife at the time Tammy Wynette. Their melodic stories of love, longing, lost dreams, and hope floated through the house out of my parents' cabinet console stereo.....We're Gonna Hold On, was my favorite. During his dark years he almost lost his career from setting concert dates and repeatedly not showing up. He ended this chapter and all was forgiven. 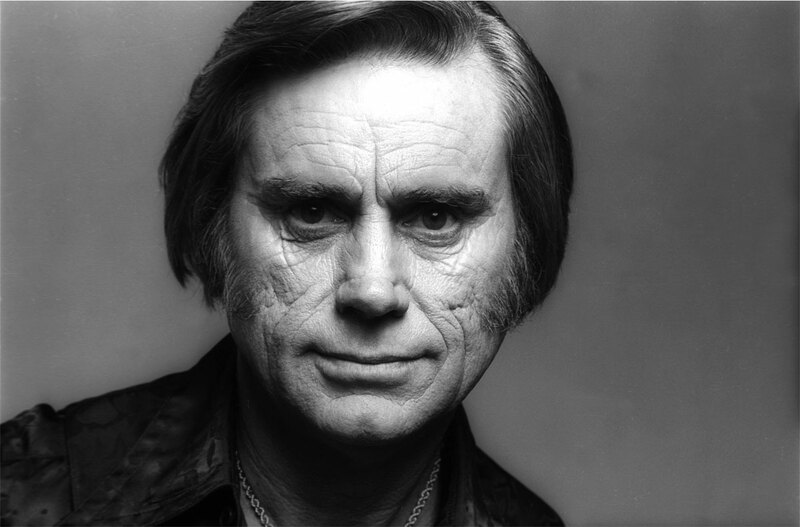 I've had the chance to work with many artists, but not George Jones. My only encounter was once when driving through Nashville back in '99 after attending "Fan Fair" my sister and I saw an SUV pass by with the license plate NO SHOW...."That's George Jones," I told her!....so we sped up and sure enough it was....we honked and waved he looked over and smiled and waved back...we giggled and whooped at our fleeting encounter with a country icon right there in Nashville. A lot of people don't know that George Jones and Tammy Wynette's daughter, Georgette Jones, is also a talented vocalist.....George and Georgette sing beautifully together in their father/daughter duet.."You and Me and Time". You can her the love in his voice for his daughter.